Fruit Machine slot machine by Cayetano Gaming is a three reeled five paylines video slot. It has a simple fruity theme just as the name suggests. Slots have shifted from the traditional themes to modern complex ones, and this one tends to take us back to the good olden days. The fruity symbols look stunning despite the simplicity hence giving gamblers a classical gaming experience. The slot has been embraced well in the UK and all over the world even with its simplicity. Perhaps the gamblers have missed the one armed bandit. What are the Fruit Machine Slots Game Features? The Auto Play spins the reels severally nonstop for a set number of times whereas the spin is the normal type of play. These features are all you need to spin. The stake allows you to place a bet and the view pays enables you to check the proceedings of the game. The in-game symbols include plums, cherries, lemons, melons, one, two bar, three bar and the game logo. There is no option of activating pay lines, you have to stake on all the lines hence the stake amount is the only thing you can alter. The least stake amount is $0.5 whereas the max is $50. The biggest prize is the 800 times multiplier which leads to wins of up to $8000. The logo is the wild symbol and hitting three or more increases your chances of hitting the big wins. The wild can replace any other symbol leading to a winning combination. This game is quite simple for gamblers. It can be played real money on nearly all the trusted and reputable casinos. Moreover, you don’t need to download the casino app to win big. You can play no download from your phone or computer whenever and wherever you wish. This is how convenient gambling has become. You should play free Fruit Machine casino slot machine in order to understand the game well. These reviews provide details about the gameplays, the bonus rounds, and features but the best way to get a good grip is by playing the game. Free games are absolutely free of charge hence you won’t lose anything. Secondly, this game is best suited for people with enough money to spend. As stated earlier, you must activate all the paylines hence all you can change is the bet amount per round. Basically, this is game of the high roller players. Fruit Machine slots is a classical slot that attracts many players all over the world. It is very simple and could be very similar to what the ancient gamblers played. It can also lead to massive wins for determined players. You should definitely try it for a chance to win big. 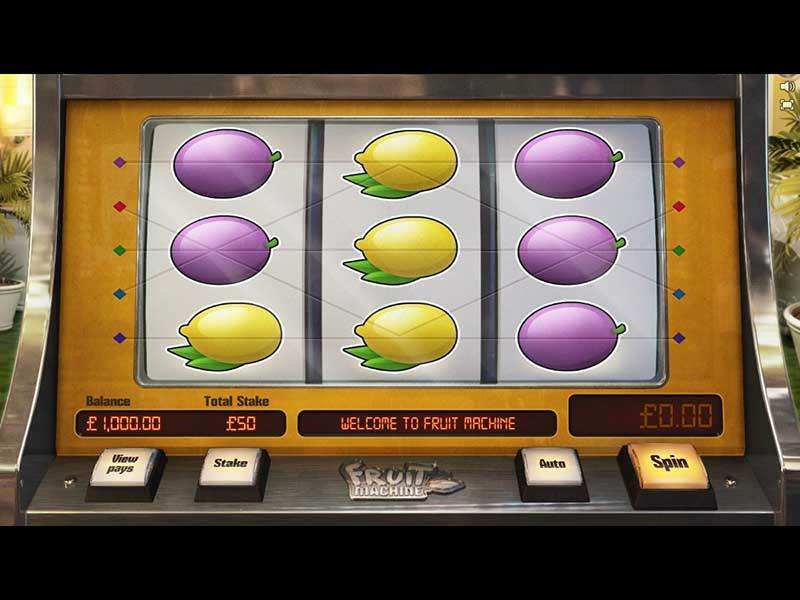 0 responses to "Fruit Machine Slot"
1 What are the Fruit Machine Slots Game Features?